I know for many of you, a welcome and well-deserved spring break is right around the corner. If you don’t have something good to read, why not pick up e-book (or print) copies of my books and take them with you (or just enjoy them at home!). Many people commented about the positive message at Christmas, but it would be equally appropriate for the Easter season as well. Don’t forget to tell all your friends what you’re reading too. 😉 Thanks for sharing the love! 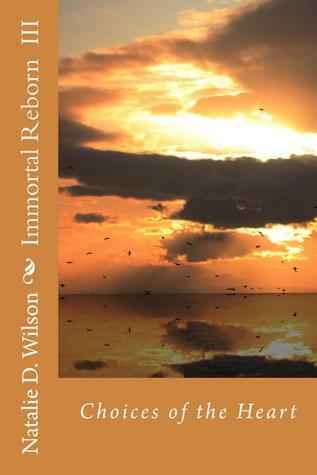 Immortal Reborn – Choices of the Heart is now available on iBooks. See the BOOKS tab for direct link. Celebrating Authors is a website supporting independent and self-published authors. Check it out! First the bad news. We signed up book 3 for ‘expanded distribution’. This means that it can be bought in print through other retailers besides Amazon (Barnes & Noble, etc). The problem was, I had tried to keep the price on book 3 as low as I could and I had set it so low that they wouldn’t accept it for expanded distribution (everybody in the chain wants to get paid). Unfortunately, this means I had to raise the price to $26.95. It was almost not worth it since I would only make 31 cents per copy sold through expanded channels even at that price, but I wanted to make my books available as widely as possible. At this point, I’m more interested in the exposure than the profits. Now for the good news. The good news is, that since I have a little more leeway with my e-store pricing, I have changed the coupon code available for that to 25% off. This will help bring the final price down a little more if you purchase through the e-store here. The other GOOD news is that there are no PRINTING costs associated with e-books, so I don’t have to raise those prices! If you are an ebook reader, the price increase on book 3 won’t apply to you. Thanks to everyone for your support and encouragement. I do hope you are enjoying the world of the Nephilim. If you are a Nook reader, you can now get Immortal Reborn – Choices of the Heart from the Nook store. I’m excited that all 3 of my books are now available to you. Please enjoy and let me know what you think! I am holding a giveaway on Goodreads. The winner will get a signed copy of Book 3 AND ALSO signed copies of Book2 1 & 2. Yes, you read that right. ALL 3 Books for one LUCKY winner. If you’re not a Goodreads member, please do sign up and enter the drawing. Even if you already own my books, please do consider entering the giveaway. While you’re at goodreads, please consider adding a rating or review of one or all of my books. GOOD LUCK! Giveaway ends April 21, 2013. Whew, I’m so glad to have finished editing for a while. Getting Book 3 ready for print took so much of my time that I’m in in a serious deficit for good creative writing time. My beta readers are currently proofing Book 4 but I think due to the way that book began it’s life it will take more editing than did Book 3, so for now I’m doing research for Book 6 which I’m currently in the middle of. Yes, Book 5 is pretty much written. There is more to come, dear friends.